Towards the end of the 16th century three outstanding commanders brought Japan's century of civil wars to an end, but it was Tokugawa Leyasu who was to ensure a lasting peace. 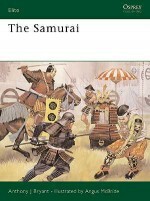 In terms of his strategic and political achievements Leyasu ranks as Japan's greatest samurai commander. Leyasu possessed the rare wisdom of knowing who should be an ally and who was an enemy, a key skill for a successful military leader. 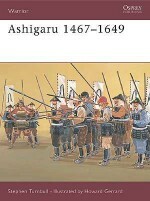 Leyasu's crowning victory at Sekigahara depended on the defection to his side of Kobayakawa Hideaki, and the absence from the scene of Ieyasu's son Hidetada serves to illustrate how just once there was a failure in Ieyasu's otherwise classic strategic vision. To establish his family as the ruling clan in Japan for the next two and a half centuries was abundant proof of his true greatness.